Winston-Salem, NC – October 12, 2016 – Charter Medical Ltd., an innovative single-use medical device manufacturer, announced today that it has received CE Mark approval on their new Cell Therapy Fluid Transfer Set product line. The new fluid transfer sets are the first of their kind to be developed and offered with an intended use to support cell therapy manufacturers. 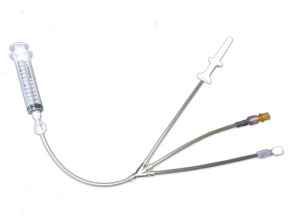 Fluid transfer sets are commonly used in the development and manufacturing of cell therapy patient-specific medicines. Unlike currently available options, the new fluid transfer set products have been designed specifically to support cell therapy manufacturing and are intended for sterile transfer of cell based products, including whole blood and cell suspensions, from one container to another. The device components, testing, and final product packaging are compatible with cGMP manufacturing requirements. This regulatory approval helps facilitate global technology transfer for clinical and commercial production of cell therapies and personalized medicines. Charter Medical helps produce safe and effective medicines by designing and manufacturing custom single-use solutions for bioprocessing, cell therapy, blood transfusion and blood filtration markets. Charter Medical is a wholly owned subsidiary of Fenner PLC (LSE:FENR) and operates out of an ISO 13485 certified and FDA registered manufacturing facility in Winston-Salem, NC. To learn more, visit www.chartermedical.com.